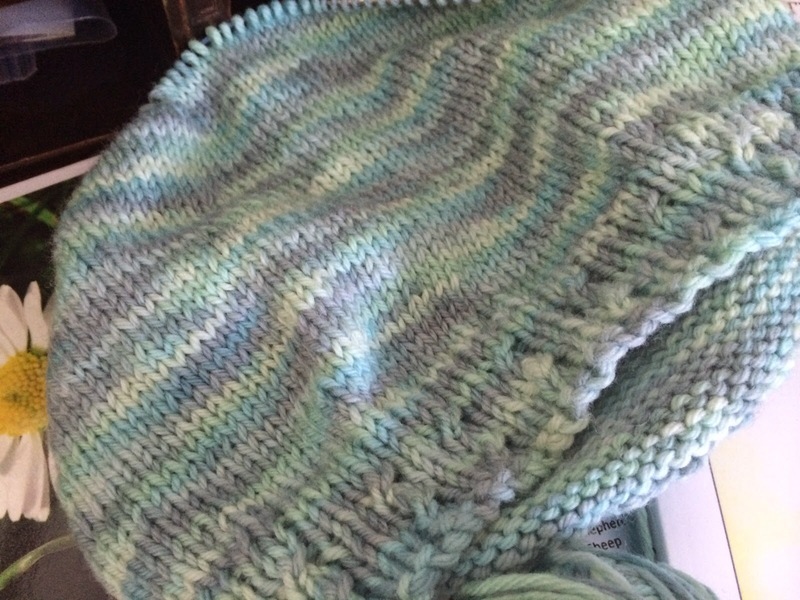 I'm working steadily on a yoked sweater for my daughter. It's so nice to do stockinette in the round right now. The knitting is so ordered when everything else is still a little crazy! I'm planning our Pre-K year right now and am really excited about it. We are starting the day after Labor Day and I should be able to get the basics ready by then. 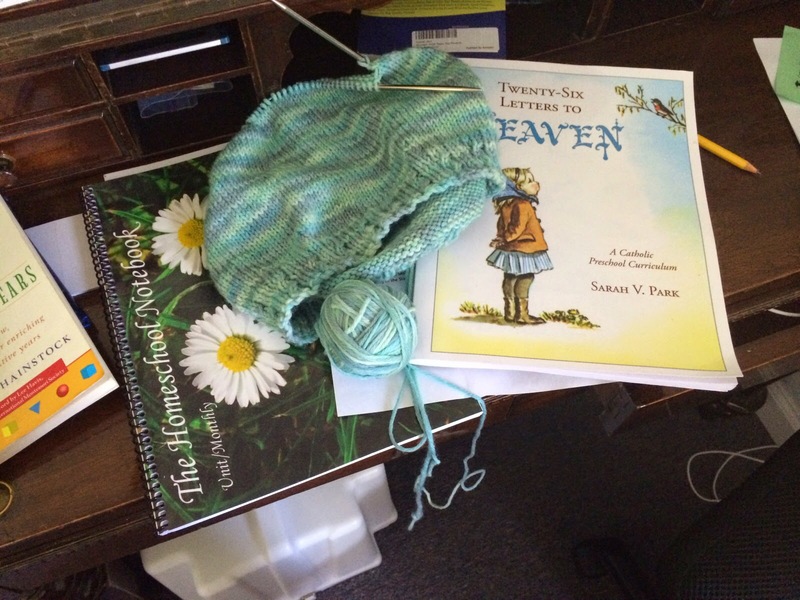 I am using my usual Montessori curriculum as well as the book Twenty Six Letters to Heaven. It's a Catholic alphabet path that incorporates saints and virtues in with normal subjects. The activities are great and low prep, I think we are going to love it! I also want to add some catechesis of the good shepherd materials but I have to make them first. That will be an ongoing project. Time to get out those glue gun/sculpey/wood painting skills and give it all I've got! I have had a great summer but I'm looking forward to the more regular routine of school days. The kids and I all thrive under routine! Lovely color way on your daughters sweater! Looking forward to hearing more about your homeschool adventures with that book, Heather. It looks like a good one.